Vivo is all set to launch its next V series smartphone Vivo V11 Pro in India on September 6. The company has already posted some teasers that reveal a lot about the device. 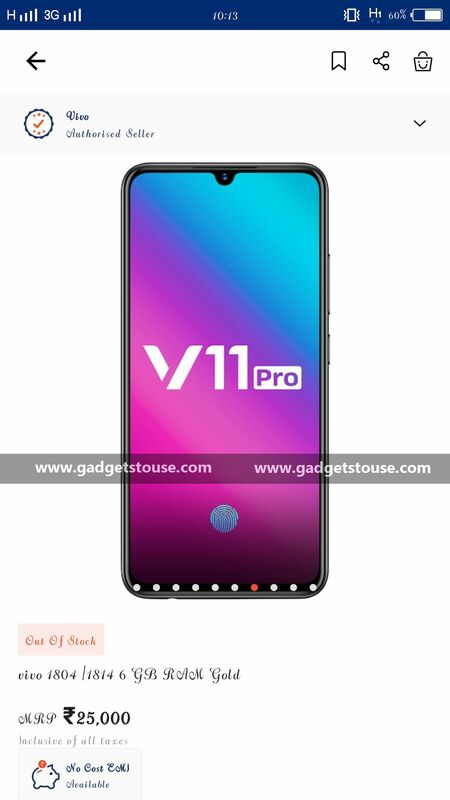 Now, just a week before its launch, we have got a major leak around Vivo V11 Pro that reveals not only its specs but also the pricing. 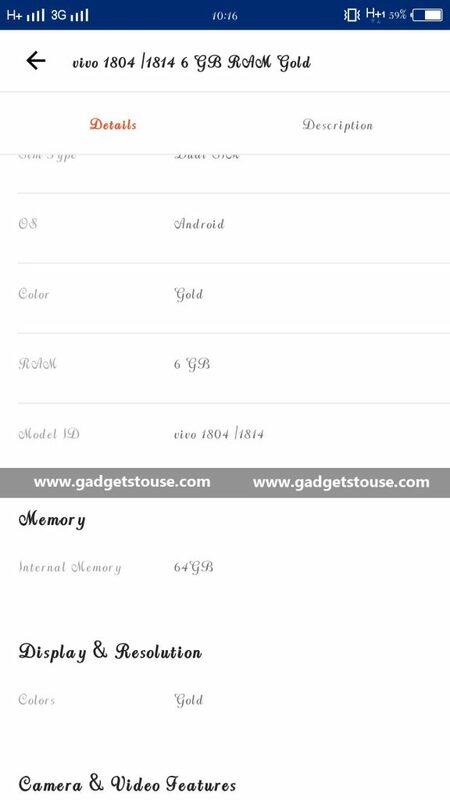 As per our source, the upcoming Vivo V11 Pro was spotted on Paytm Mall that reveals its pricing as well as specs of the device. However, the listing is removed at the time of writing this news. The Paytm listing showed that the Vivo V11 Pro price in India would be Rs. 25,000. As the listing images, the Vivo V11 Pro will sport thin bezels and a small notch on top just like recently launched Oppo F9 Pro. 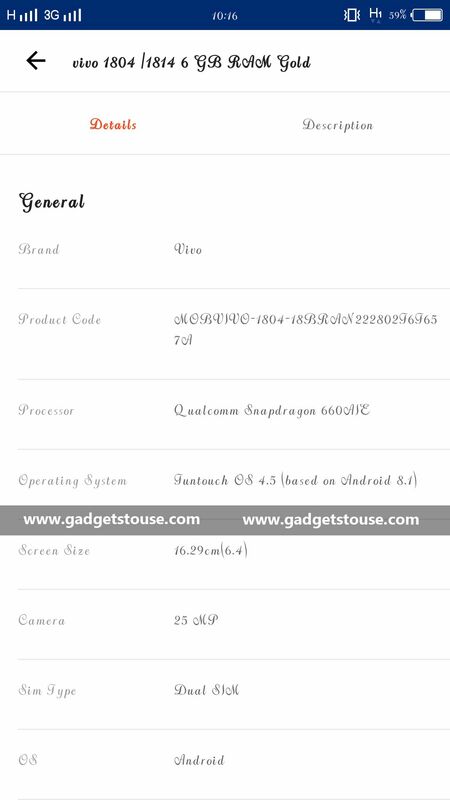 The device will sport a 6.41-inch FHD+ panel with a resolution of 1080×2340 pixels and aspect ratio of 19.5:9. Under the hood, the V11 Pro is expected to be powered by a Qualcomm Snapdragon 660 processor coupled with 6GB of RAM and 64GB of internal storage. The smartphone will run Funtouch OS 4.5 based on Android 8.1 Oreo. In terms of camera, the Vivo V11 will sport a vertical dual rear camera setup. There will be a 12MP primary sensor and a 5MP secondary sensor for depth effects. The device will get a 25-megapixel front camera with AI features for selfies. The device will also come with an in-display fingerprint scanner just like Vivo’s previous flagships X21 and NEX. The in-display fingerprint reader was also teased by the company itself. If the listing was real, then at a price of Rs. 25,000, Vivo V11 Pro will be the cheapest phone with this in-display fingerprint technology. Since the listing is removed from the e-com store now and it seemed more like a technical error from Paytm. Hence, we advise you to take this with a pinch of salt.